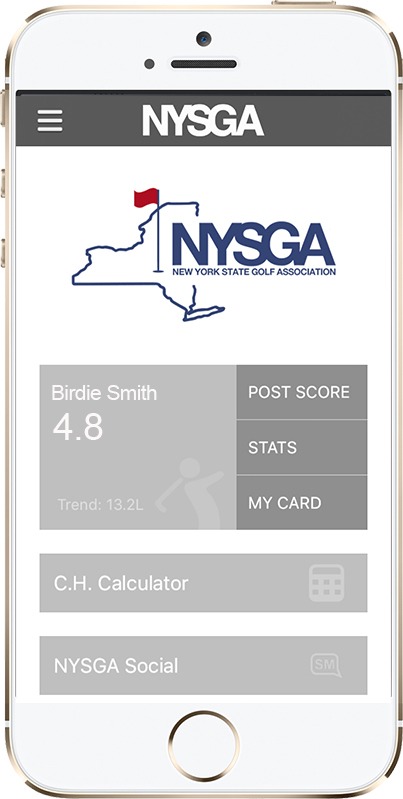 The GHIN MOBILE APP offers a personalized mobile experience that allows golfers easy access to manage their games by utilizing the various features listed below. Downloading the app is easy and free! It is available for download on Androids, iPhones, iPads and the iPod touch. Just search “GHIN Mobile” in the Android Market or iTunes store. Then you'll enter your GHIN number and Last Name to have the app customized for the NYSGA member experience. NYSGA news, social media updates and more! Access to everything New York golf right at your fingertips!